We are celebrating our Chrysler being 90 years old. 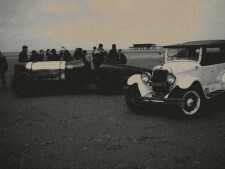 Special event taking place on Ainsdale Beach on 16th March 2016 The 90th anniversary of the Land Speed record where the Chrysler will be on display. There will be TV crew and documentary filming to celebrate this remarkable event.